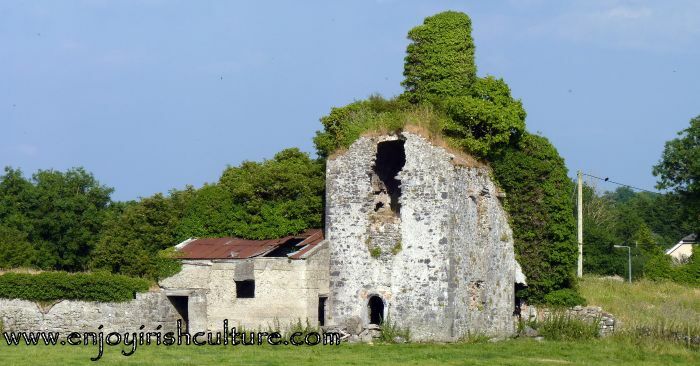 Wherever you go in Ireland, there will always be a medieval Irish castle ruin somewhere close by. Visiting them can quickly become an obsession. When we started this project, we had no idea just how addictive medieval castles would be! Ballindiff Castles on the shores of Lough Corrib on an atmospheric November day. Visiting castles is a great thing to do with kids. It fosters the imagination and it creates lasting memories. Our kids love these excursions and we would recommend them to anyone. You become very curious about the history of these places, and you wonder how people lived back then and what was important to them. Great questions to ask! There is a lot, of course, that you can find out online, but it is always worth asking older people in the locality about local stories connected with the place. The oral tradition is alive and well in Ireland, and can bring history to life. 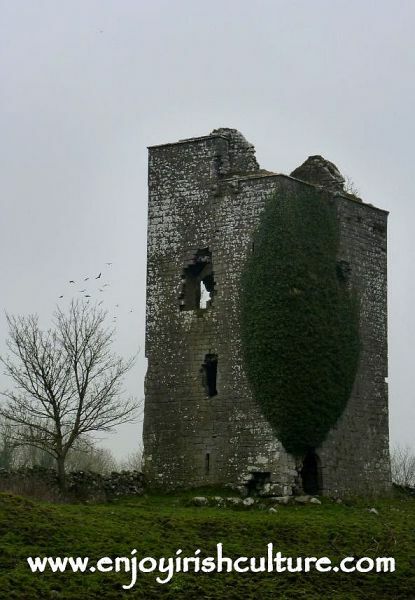 Many castles found their demise after the Cromwellian invasion of Ireland. Cromwell’s policy was to destroy the battlements of castles which of course were crucial to their defence, as well as the spiral staircases. With both of those actions, the castle was rendered useless. You will indeed find a lot of castle ruins with broken stairs. 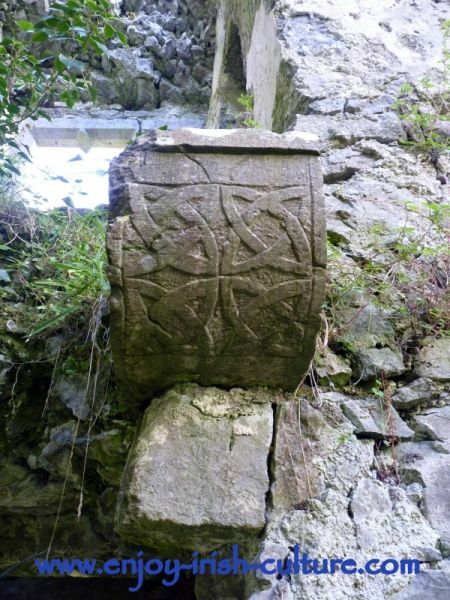 You will find little gems here and there, for example beautiful cut-stone decorations like the ones above at Hackett Castle in County Galway. You’ll soon be able to identify the structure of these castles, where the garderobes would have been located, for example, and how they were drained, or where the oubliette was, or the great hall. Because the great hall in most Irish castles featured a central hearth well into the 16th century, the great hall was most often at the top of the castle, but there are exceptions. In fact, you will find that every tower house castle is unique in some way. There was no such thing as mass production back then! 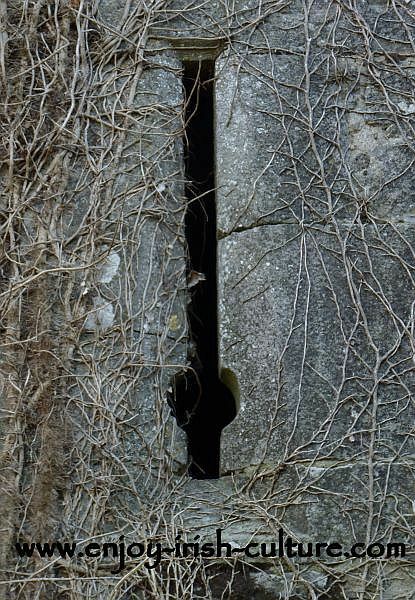 Look out for defensive features such as loop windows for archers and those that have been extended to accommodate muskets like the one above at the Desmond Castle, County Limerick. Look out for the battlements, the batter, the location of the entrance door and how that was defended, and try to imagine what life was like inside the castle walls. 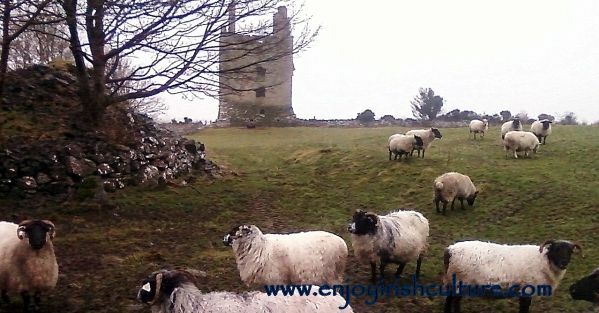 We have found a lot of castle ruins that are located on working farms. You’ll see farm equipment parked against them, or parts of the castle used as storage areas for agricultural items. 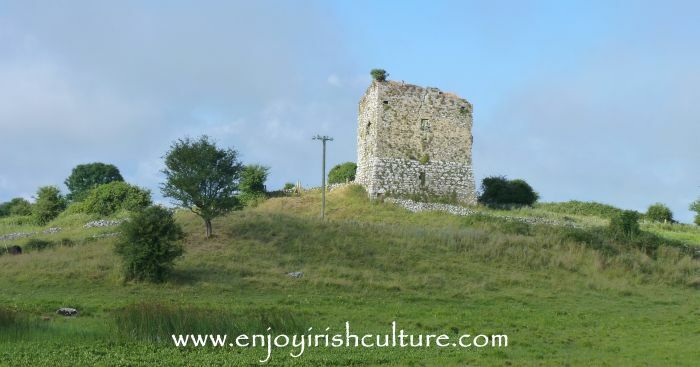 The most extreme example of this we have seen was a water tank located on top of a precious medieval castle ruin that played a crucial part in Irish history and should, by all rights, be made a national monument- the Desmond Castle at Lough Gur seen on the photo above. Wellingtons and rain gear will come in useful most times of the year. Some land can get very water logged. Bring a camera, for sure! It’s always advisable to carry a good ordinance survey map of the area you are visiting. 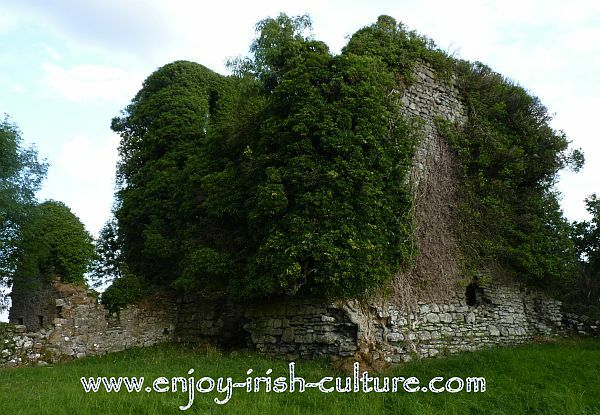 Spending those few Euros will be the best investment ever as it helps you to locate little gems like castle ruins. And don’t forget your picnic. 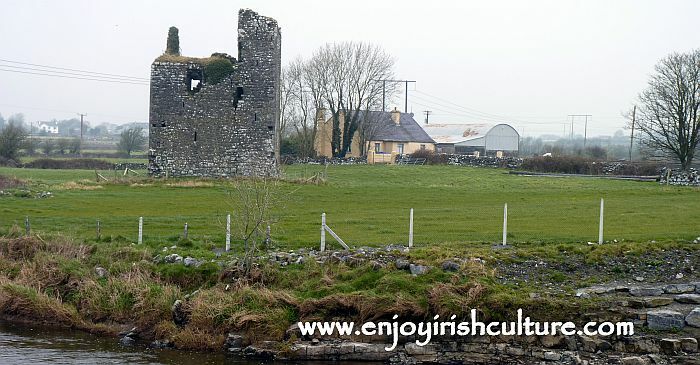 Moygara Castle near Monasterden, County Sligo is a fine example of an early Irish castle. When the site was captured by the Norman De Lacy family from the Gaelic O'Gara Clan early in the 13th century, there were already fortifications of some sort present. 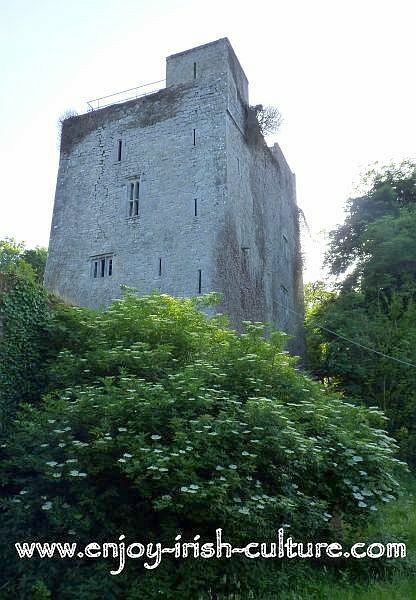 The Normans probably started the castle, but some fifty years later the site was recaptured by the O'Gara's who then managed to hold onto it until the late 16th century. Carbon dating results of the castle for different parts came back with dates varying between 1220 and 1650 suggesting that the castle was rebuilt after attacks, and modernized over the entire period of its' use. Most castle ruins tend to be on private land. If you can locate the landowner, it’s good to ask if it is okay to visit the castle. Some, who perhaps take an interest in history, can be very forthcoming, others will allow you in reluctantly, and there are many shades in between. As always, treat the place with respect, leave no trace and leave everything in place. Off you go and have some castle-fun and give us some social attention please if you enjoyed this page!